Slowly but surely the room filled with friends, family, and supporters. Soft music was being played by a local musician, Winston Culler, who kindly donated his time and talents to help set the tone for our time together. 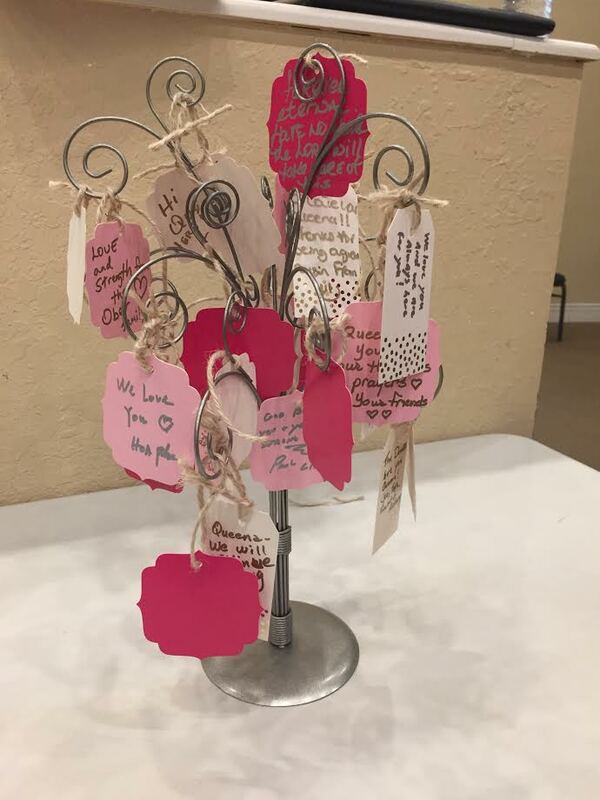 As the room filled, so did the table of art supply donations for Pyramid, Inc and the notes of encouragement and prayers hung brightly from the prayer tree set out for attendees to share their love and thoughts for Queena. By the end of the service there was an entire 8 ft table filled with new art supplies for the developmentally disabled adults served by Pyramid! The generousity of this community continues to astound and encourage me every time I witness it. The prayer service opened with songs selected by Queena and her mother, Vanna. The first song was "Healer" by Kari Jobe. 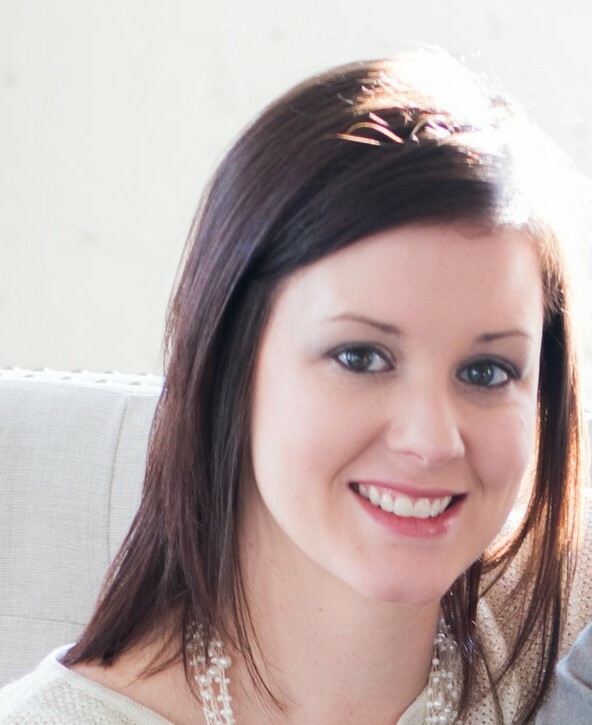 This song holds significant meaning as the simplest prayer we frequently ask for is Queena's continued healing. The next song was "O Come to the Altar" by Elevation Worship. This song was selected in the hope that all who hear it would know that the joy and peace the family feels is because they have surrendered their lives at the altar of Christ. Their prayer is that through Queena's story many will see God's hand in her life, His provision, and His favor and desire all of that for themselves, too! 11 Never be lacking in zeal, but keep your spiritual fervor, serving the Lord. 12 Be joyful in hope, patient in affliction, faithful in prayer. 13 Share with the Lord’s people who are in need. Practice hospitality.14 Bless those who persecute you; bless and do not curse. 15 Rejoice with those who rejoice; mourn with those who mourn. He encouraged us to continue finding joy in spite of the difficult situation Queena and her family have been thrust into and to continue to have peace no matter the outcome of the re-sentencing. As we gathered around Queena to pray, you could feel a sense of unity and somber peace. Queena's Family laid hands on her while the rest of the group formed a circle around the room. Pastor Karl started the prayer service by asking for clarity for Judge Tharpe, justice, and continued favor on Queena's healing. 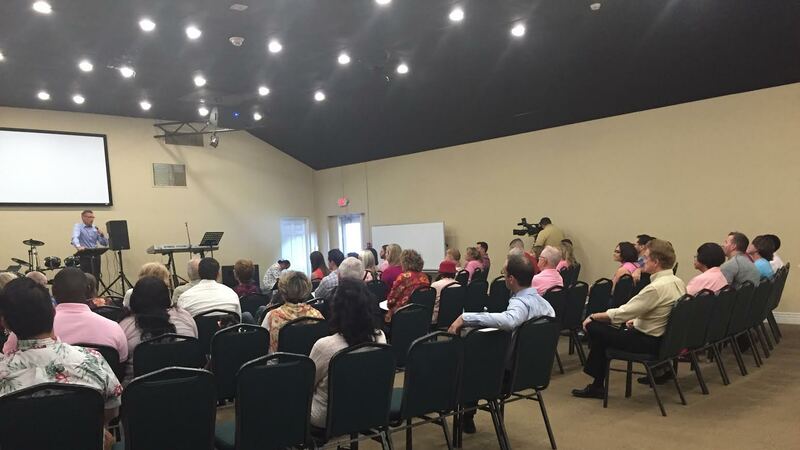 He then opened the prayer up to the rest of the room for anyone who would like to say a prayer, word of encouragement, or share scripture. 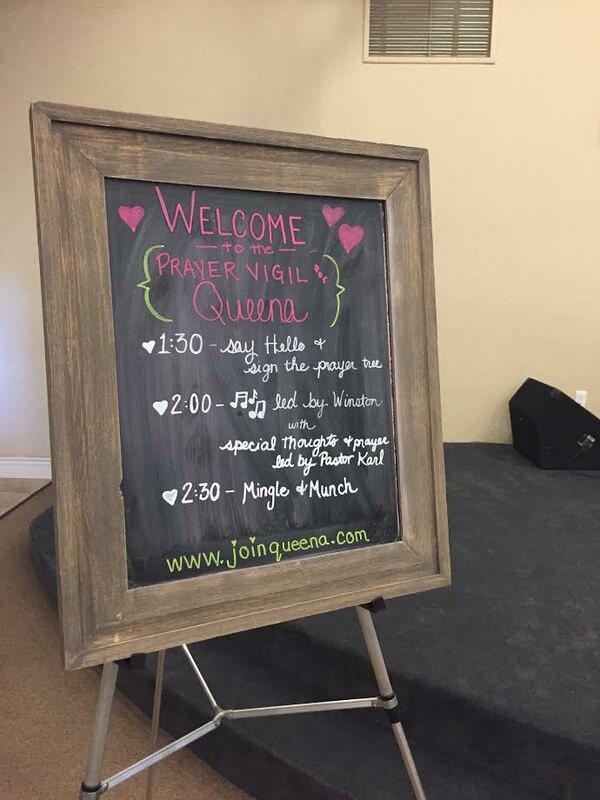 Multiple friends and supporters shared some of their empassioned prayers for Queena; it was truly a beautiful moment that meant a lot to the family. At the close of the service, Queena and Vanna asked Winston to sing "Not for a Moment (After All)" by Meredith Andrews. It is easy to let a hard day, bad news, or senseless acts of violence to feel like God has forsaken us. The most important message to understand is that He is the God over all of our storms, and He has not forsaken us. He will see us through this re-sentencing as He has before. He will continue to see us through Queena's healing and provide for her needs. Not for a moment will He forsake us. "And every step, every breath you are there. Every tear, every cry, every prayer. In my hurt, at my worst, when my world falls down, not for a moment will You forsake me! Even in the dark, even when it's hard, you will never leave me, after all."